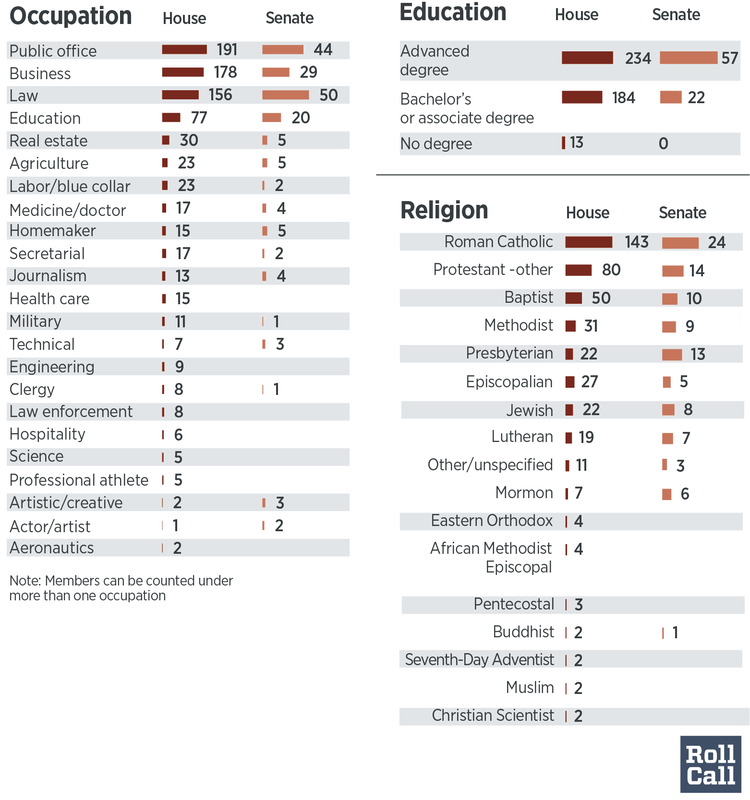 Though the next Congress will see slight increases in women and racial minorities, it will still consist mostly of white males, especially among Republicans. 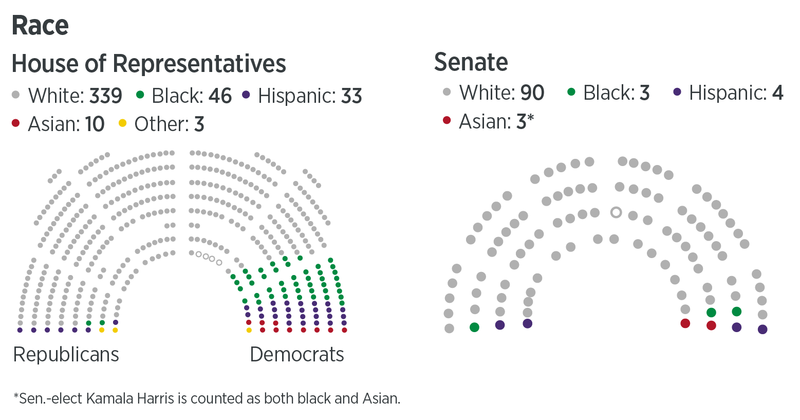 On the Republican side, 11 House members and three senators come from racial minority groups, compared to the Democrats’ 81 House members and six senators. Note: 2016 counts do not include four undecided House races and one undecided Senate race as of press time, and do not include delegates.